Turn your anonymous website visitors into qualified sales leads! 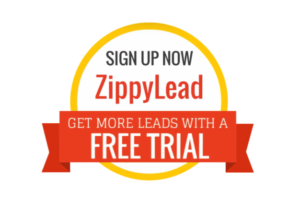 Without any registration forms, ZippyLead identifies who is on your website and what products or services they are interested in. We deliver this information in real-time e-mail alerts that include your prospect’s company name, website address and more, so YOU can do a well-timed cold call and beat your competitors to the punch! Never miss another potential account and sign-up for our 30-day free trial today!After the free-trial it is only $100 per month. No contract, no commitments, cancel anytime! It’s that easy. Technology has advanced quickly. In less than a century we’ve gone from rooms dedicated to giant computing devices to the mini mobile computers that fit into a single pocket. 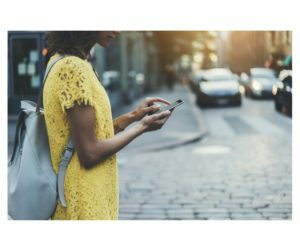 This swift transformation of where and how people get information has brought marketing changes as well. Gone are the days where a memorable logo and glossy brochure would garner new business. Now, companies need to be everywhere, in print, but also online with a presence that impresses customers and brings in new business. Companies must constantly update their look and platform to maintain a professional image that matches what human resource and facility managers expect from modern service providers. This change isn’t because the vending machines, office coffee service, or micro-market services you are offering are no longer valuable, but because where and how your customer is searching for the services has changed. They are looking online. You need to be where they want to find you and exceed their expectations. A quality website is a must. It used to be that a website had a shelf-life of 3-4 years before it looked dated and old fashioned to the customer. Now, that shelf-life can be closer to 12-18 months. This means by the time you’ve selected the look of your site, created content, approved and loaded it — it might already be too old. Not to mention the challenge of using social media and the right keywords to draw attention to your operation online. Customers are using search engines to find exactly the services they want with specific keywords, social media to determine your reliability as a service provider, and your website as a measure of your professionalism. It’s more essential than ever to work with a marketing team that can keep you relevant, that adapts to the latest search engine parameters, updates design with photo rich layouts, and keeps the content new and fresh across multiple platforms in a timely manner that will benefit your business. There is more to marketing than just content and design, however. There is also knowing how to use that marketing to monitor who is coming to your site and turning that person into a lead. It’s about not just being relevant to new businesses, but knowing how to reach that new business and build a relationship that will quickly turn into a refreshment services contract. The right online marketing partner will deliver actionable customer interactions to you, that will ultimately grow your business. That’s the power of tech-savvy online marketing.